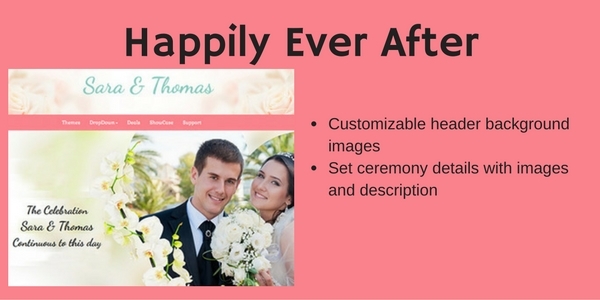 Happily Ever After is a beautiful eye-catching WordPress Wedding Theme designed for the lovebirds that are planning to get married. Its comes with some amazing features and a beautiful user interface that are very easy-to-use and fully customizable. Extremely responsive theme to let your guests view your website with whatever device they prefer to use. All-around, a perfect WordPress theme to make weddings perfect.